ICAD is proud to launch our newly redesigned website, www.icad-cisd.com. Our new site offers our visitors a more user friendly and visual experience with clear navigation, a responsive layout, streamlined menus, and rich images that speak to ICAD’s work. 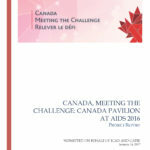 We crafted the site with our members in mind – to increase their visibility and showcase their work, to highlight ICAD as a Coalition working to strengthen the Canadian response to HIV at home and abroad, and as a resource hub with easily accessible ICAD resources, news and recommended readings in the HIV response. ICAD would like to thank AN Design Communications for its hard work and close collaboration in developing this site and to our team of French translators, Jean Dussault and Josée Dussault of Nota Bene communication. Featured Members – ICAD’s members offer a wide-range of experience and expertise in the HIV response both in Canada and globally. We’ve given our long-standing Featured Members initiative a makeover in an effort to put our members and their critical work front and centre on the new site. And for the first time, we’re now featuring individual members. 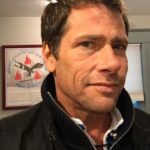 In celebration, our first Featured Member for our launch is Trevor Stratton, Indigenous HIV advocate and civil society leader in his work in Canada and in forums such as the NGO delegation to the UNAIDS Programme Coordinating Board, the governing body of UNAIDS. Learn about Trevor’s work. 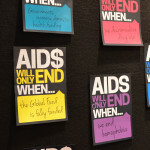 Reading Corner – Our “Reading Corner” offers you a collection of ICAD-related updates and includes recommendations from our team on the latest news and resources available in the HIV response. Projects – We’re excited to share and keep you informed on the diverse range of projects that reflect our core pillars – public policy, knowledge sharing and capacity building. We will continuously update this section as our projects progress. ICAD Blog – Our members’ contributions to our multiple blog series’ are now in one place! 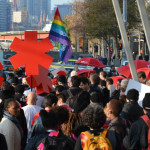 We extend an open invitation to our members and partners to lend your voice to the HIV response by contributing to our Blog. 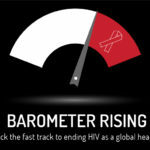 Our Barometer Rising blog series for World AIDS Day 2016 on the Huffington Post Canada will now continue as a standing series. The series provides a platform for members and partners to share their thoughts on what needs to be done to strengthen our HIV prevention efforts at home and abroad in order for the world to meet the ambitious target of ending AIDS as a global public health threat by 2030. Please reach out to Kate Alexander at kalexander@icad-cisd.com if you would like to make a contribution. We will continue to expand our online content (especially under the Public Policy & Global Engagement and Reading Corner sections) to keep you up-to-date on ICAD’s activities and to bring you relevant information related to the HIV response both in Canada and globally. We hope you will enjoy our new site as much as we do. If you have any questions, comments or suggestions please send them to Kate Alexander at kalexander@icad-cisd.com.